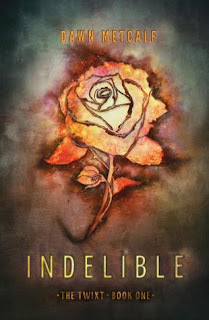 Okay I admit, being the cover whore I am, Indelible first was added to my TBR for the gorgeous cover. I mean, look at it! *pets pretty cover* Imagine my shock and joy when I delved further and discover a book with a complex otherworld filled with magic and monsters! We start out with our main character Joy in this awesome sounding Carousel club where she gets attacked by some strange looking guy and his sister, in the eye nonetheless, and is now experiencing strange occurrences. Creepy scratches at the window in the middle of the night and notes left in her locker that make no sense mentioning someone named Ink are just some of the odd things happening. Turns out Ink is the boy from the club, and he has somehow marked her as his when he discovered she had the Sight, meaning she is able to see creatures from his world. In order to keep them both safe, they must pretend they are together or risk death. We then take a trip of learning about the Twixt and just what it is that Indelible Ink does as a Scribe, as well as his ‘sister’ Invisible Inq. This was all pretty interesting and cool, especially how they travel through space and time with a slice in the air with a certain tool. I must admit, I’m still trying to wrap my head around everything. It was terribly complex for my simple mind, but so descriptive and wonderfully written at the same time. Joy also find herself constantly in trouble and getting attacked by these creatures and man, a few moments were chill inducing. The monsters are so vividly described, I felt like they could come out and jump at me! This is absolutely the movie-in-your-head type of book! But what I loved most about the book was probably the scenes between Joy and Ink. Since Ink is not human, he’s unfamiliar with certain senses and feelings as well as some detailed physical features, like the exact curve of an ear, or the knuckles of your fingers, a belly button even. His own features are basic and perfect with no blemishes or definition, like he was sculpted out of clay. I know this sounds weird but honestly, it was so interesting and almost beautiful to read. They were both fascinated: Ink touching her, Joy feeling him, his fingers exploring the slope of her face, guided by the slight dip at her temple. His fingertips tickled the edge of her hair, brushing the last tiny darts of her eyebrow, sliding against them as if smoothing each one into place. She tipped her chin back. He was reading her like Braille. I seriously fell in love with Ink. I wish we would have gotten more of him and more relationship building. I don’t know that I would call this a case of insta-love, but I would have liked a bit more time for the relationship to flourish because it was such a huge part of the plot and why they were in this together. Other little pet peeves, Joy’s transition from fear of what was happening to her to acceptance with almost a longing and eagerness to be more involved was a tad speedy for my liking. Joy has family issues sprinkled into the storyline as well which is a factor in why she was so open to this new life, but for some reason it bugged me a little. Indelible is the first book in the Twixt series and though it wrapped up quite nice for a first novel, I am anxious for more Ink in the next installment! If you are looking for something unique and fresh, I’d recommend this one! She felt his cheek and the edge of his jaw on her chin. The flush of her skin echoed on his. The sweep of his eyelash brushing her face. 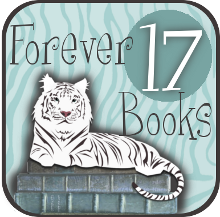 She strained to feel the tips of his hair, the nonexistent scratch of his never-shaven face. All the while, she watched their fingers stretch along one another’s wrists, afraid to look away and admit what was happening. What was touching. What they wanted. It became too much. Joy squeezed his hand. Looked in his eyes. It was as if he were surprised to see her. “I can feel you,” he whispered. Joy nodded again and said, “I know.” Her lips were close. She could taste whispers of him and rain. The magic, monsters and Joy all sound great and I can’t wait to read it. It was all very exciting! This is one my most anticipated titles for the summer and I am so glad it turned out well! 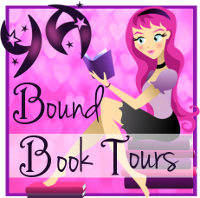 The monsters and magic and time/space travel all sound so great – I can’t wait to dive in! EEP! I hope you love it then! Wow, this one sounds great! I’ve had this on my TBR list for a while and i’m so glad it was good. I can’t wait until this comes out! I’m excited for more people to read it and to see what they think! This sounds great! Your review reminded me of wicked Lovely by Melissa Marr, which I LOVED, so I think I’d enjoy this too. Thanks for sharing! I have not read that book but I’ll have to check it out! Wow this one sounds really different. I just got it off NetGalley! Glad you liked this one. Btw, did you see Tandem is on NetGalley? And I did not know Tandem was on Netgalley before you mentioned it! I requested so fingers crossed I get accepted! This looks great! The beginning in the club sounds a little big like the beginning of City of Bones though :p Anyway, I’m really glad you liked it, and great review! Adding this one to my never ending TBR pile! I’m glad this one had beautiful prose! I hate when a book has pretty cover syndrome, but the inside doesn’t quite match up. This one sounds like it does a lot, and you totally hooked me with that last blurb! Ha, I added this one because of the cover. Just got this one this week, and I hope to get to it very soon. So glad you enjoyed it!!! *high fives* lol I hope you’ll like it too! It is sort of like that since he did declare her as his mate. It’s all very confusing to explain, but also very interesting to read. I have this one from NG for review, but I won’t be getting to it for a while so I skimmed your review. I’m looking forward to meeting Ink 🙂 Great review! I hope you’ll love Ink too! I love this cover too — it reminds me a little of the cover of Champion by Marie Lu. Thanks for helping me figure out what this one is about! It reminds me of that too! I actually got the Champion chapter sampler when I had Indelible and I put them next to each other to compare. Both pretty and similar, for sure! I wanted to read this one because of the cover and the synopsis as well, but now even more so after your review and the quotes. MY GOSH, sounds amazing! Ink sounds so likable and swoon worthy 🙂 Great review! So glad I got you more excited!